Give yourself the gift of a central database. 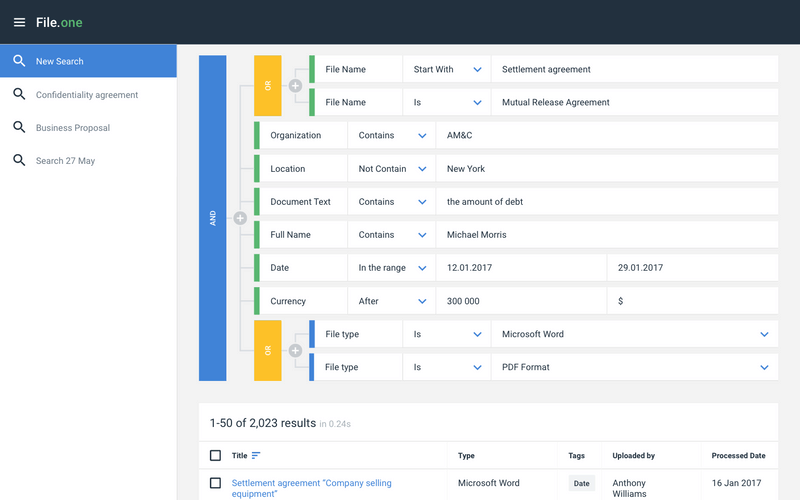 Easily connect your sources of file storage to File.one and you’ll be able to search, view and retrieve documents in seconds. Powerful search engine and machine learning helps you instantly locate any document, even in a database with millions of files. 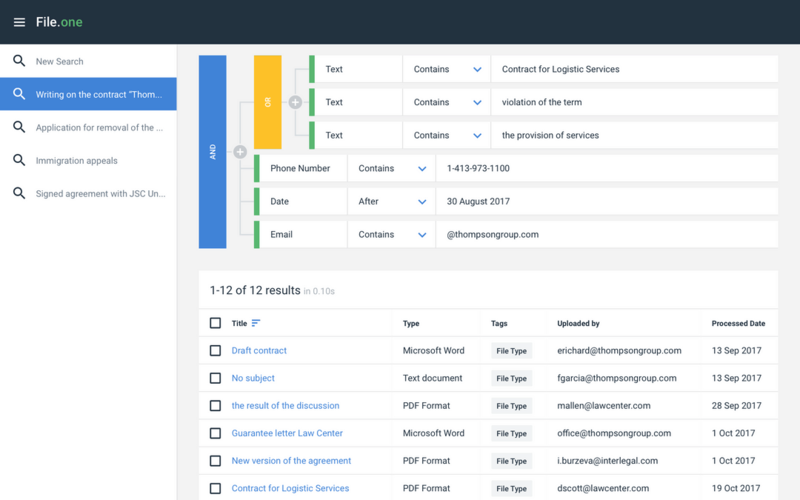 File.one lets you work with data from your cloud, local, network storage and mail clients in one comprehensive system. File.one processes files of any size and format, in any language and from any source. When you type what you’re looking for, File.one delivers the results you need in milliseconds. You can create complex, specific search parameters, try different combinations, and add logical operators. You can add context searches, tags, file attributes, and metadata — even monetary ranges inside documents. Access all files from one central location. File.one understands how you think and what you want. an important document stored, File.one can search through all of your emails and any attached files. documents are collected in a reliable database, where they are conveniently sorted and stored. in the browser — no downloading required. Download documents directly from your search results. With one click, File.one can convert emails, Word documents, and every other format to PDF. as a CSV table with specific columns and quickly insert these assets wherever you need them. of documents in seconds. File.one instantly checks millions of files, eliminating wasted time. Keep your files available wherever you are. Find the documents you need in the blink of an eye. File.one delivers military-grade, HIPPA-compliant security. All files uploaded or downloaded are safeguarded from attacks. 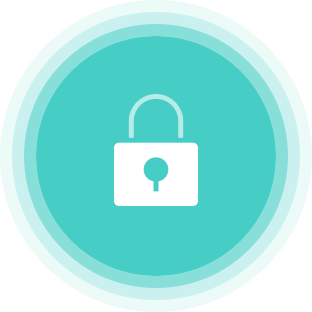 Limit access to your account with two-factor authentication, IP address restriction and Microsoft Azure servers. Spend less time searching and more time creating. See how predictive coding can work for you. © File.one 2018. All rights reserved.